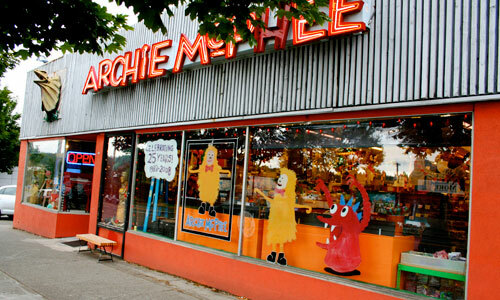 Archie McPhee has been supplying gifts and toys to Seattle since 1983. 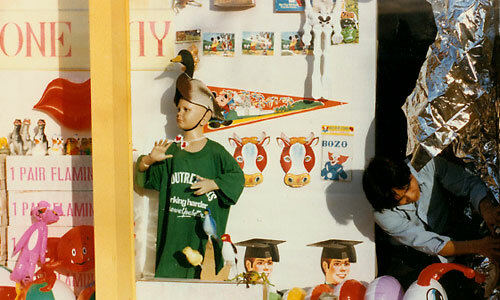 Take a look back at our humble beginnings. We’ve come a long way baby! 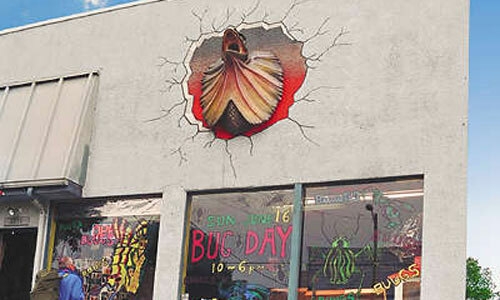 Our first store in Fremont, Center of the Universe. 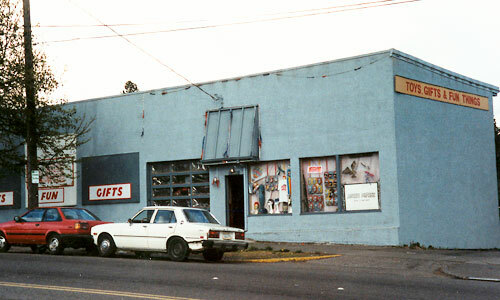 The old store front on Stone Way. The second location on Stone Way. A wall in our Fremont store! 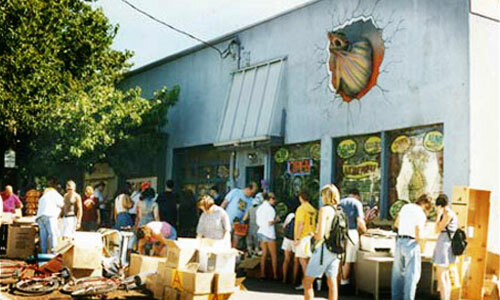 In 1999 we moved to Ballard! 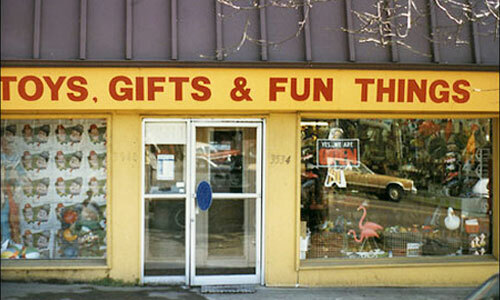 It didn't take long to run out of space, so we opened More Archie McPhee next door! In June 2009, we moved to our current Wallingford location! 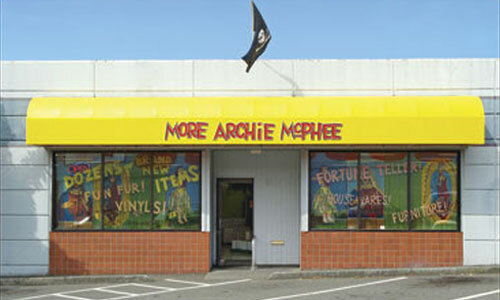 Believe it or not, Archie McPhee was a real person. 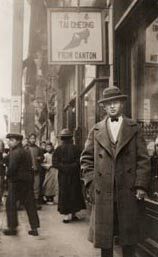 In 1924, a young Archie McPhee of Bismark, North Dakota, decided that he was going to bring the revolutionary new music called “jazz” to the Orient. He formed a swinging jazz band, the North Star Music Makers, and as their manager booked passage for them on the S.S. President Madison as the ship’s band. The Madison was docked at the Port of Seattle, coincidentally the future home of his namesake store. When Archie arrived, he discovered the ship had made accommodations for the band, but not for him. Luckily, one of the ship’s coal stokers failed to show, so Archie took the job and managed his band from deep inside the hold. In Asia, the band played hotels and cafes in Shanghai, Kobe, and Yokohama. They also performed at the Governor General’s Ball in Manila and were offered a 6-month contract by the Army & Navy Club there. As you can see, the original Archie was someone who knew how to have a good time and had the gumption to spread it around. He is still our inspiration and everything we do reflects his fun loving spirit. 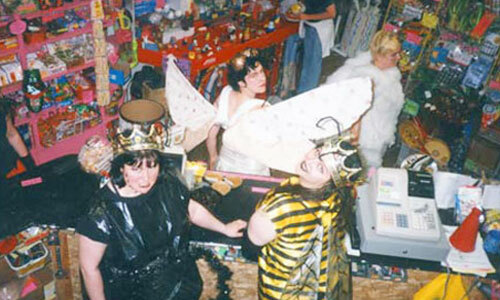 How did Archie McPhee and Company come to be? 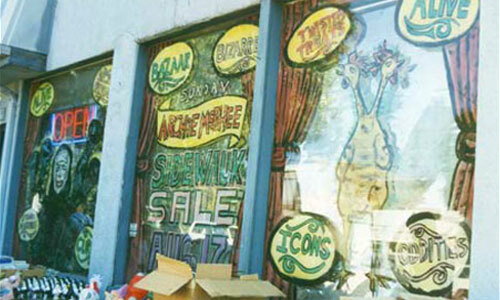 Well, many years later, Archie’s great-nephew-in-law, Mark, started selling rubber lizards and other crazy things out of his house in L.A. 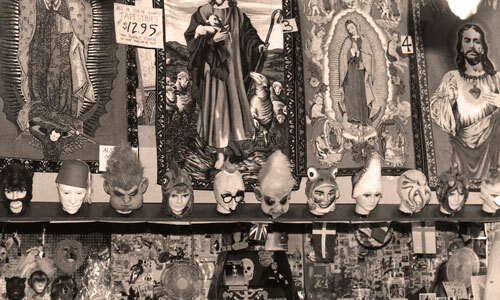 He found that people couldn’t get enough of his collectable junk, but he needed space for his company to grow. Risking it all, he packed his entire inventory into a U-Haul truck and headed for Seattle. 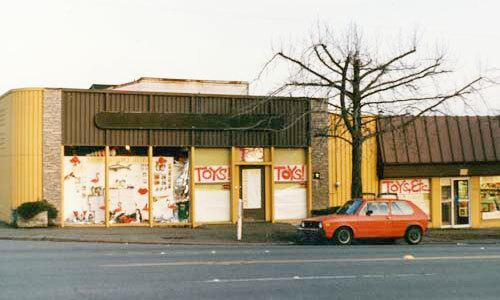 In 1983 he set up shop with two employees in Seattle’s Fremont district. Unable to contain the mass of rubber chickens and punching nuns, the store has moved to ever larger locations. 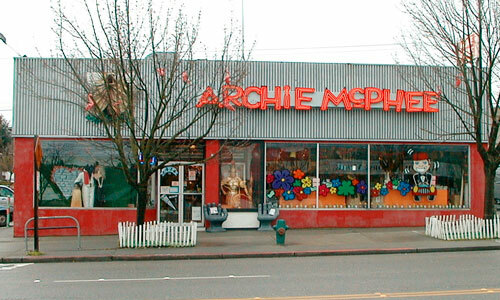 The fondly remembered Stone Way North location lasted for fourteen years, until, in the spring of 1999, Archie McPhee decided to leave Fremont and take up residence in Ballard, where we stayed for ten years before returning to Stone Way in June of 2009. 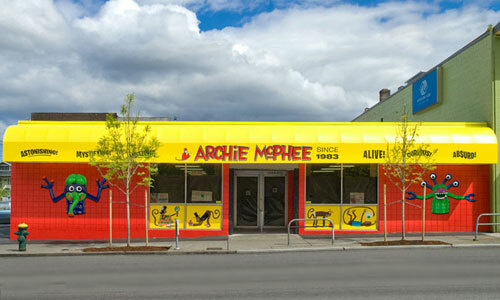 Now located at 1300 N 45th St on the corner of 45th & Stone Way in the Wallingford neighborhood of Seattle, the Archie McPhee store is a vast retail utopia filled floor to ceiling with all kinds of oddities for your pleasure and amazement. We’re open 7 days a week and offer FREE PARKING (A rarity in Seattle), so come on over and see us soon!